Our «Spa Day» is the perfect opportunity to really treat yourself and enjoy Spa treatments with full use of our spa facilities included. Detach yourself from the world and allow the body and mind to unwind, be transported into a state of total tranquillity by soothing rituals of touch. You can enjoy a relaxing day at a spa located in the historic center. 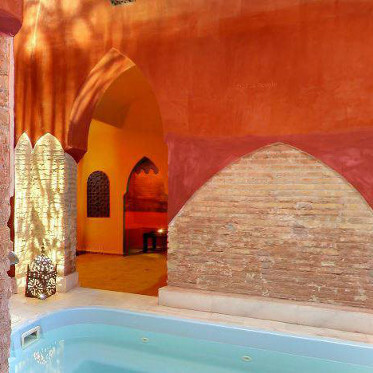 The Arab Baths "Comares Palace"
The Arab Baths "Comares Palace" Hotel Macia Real de la Alhambra, owe their name to the baths of the Alhambra, as a faithful replica of the same. 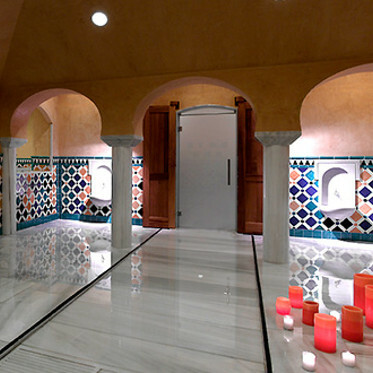 Relax and enjoy in our Spa Granada Palace and submerge in a universe of natural elements for deep relaxation. Relax in tranquil surroundings, luxuriate in the spa and enjoy experience therapeutic spa treatments. Treat yourself and a loved one to a delightful spa break. Indulge in some well earned relaxation in our Spa, enjoy some Spa treatments and enjoy beautiful setting.